I am Orla Hansen based in North Queensland, Townsville. I am Dutch/Indonesian and born in New Zealand! I have been working in Mt Isa as a Mine Geologist for 9 years, 7 of which I lived in Mt Isa. Mt Isa is where I found my passion for the land and Aboriginal design. I am a solo handmade business. 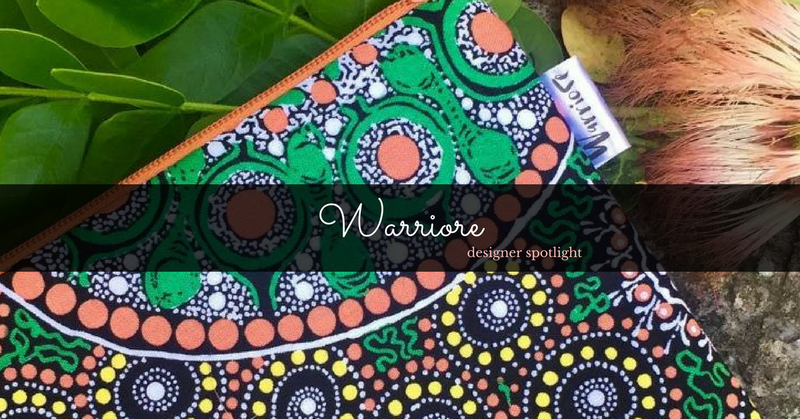 I create bags and accessories made exclusively with Australian Indigenous fabrics, and have been selling on Made It since August 2016 under the store name Warriore. 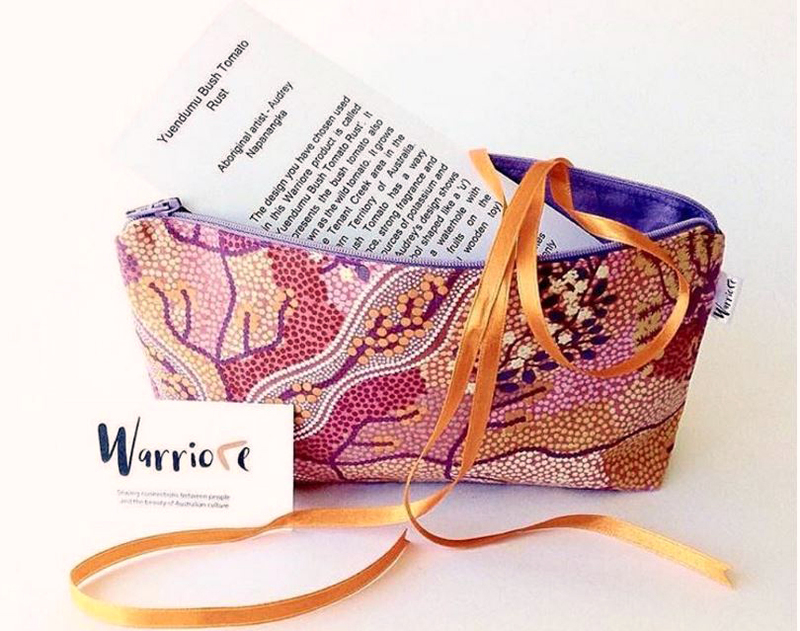 Made It means so much to Warriore because it is exclusively Australian, which fits in perfectly with my products, made exclusively with materials sourced in Australia. I love the website layout, and there are so many opportunities to be fairly and professionally represented as a handmade designer. Made It allows customers to always have a place to shop where they know they are supporting business in Australia. It is also now my go-to online market to buy presents for my friends and family. My workspace is my living space! Close to the kettle to make a cup of tea. It is the largest room in my apartment. 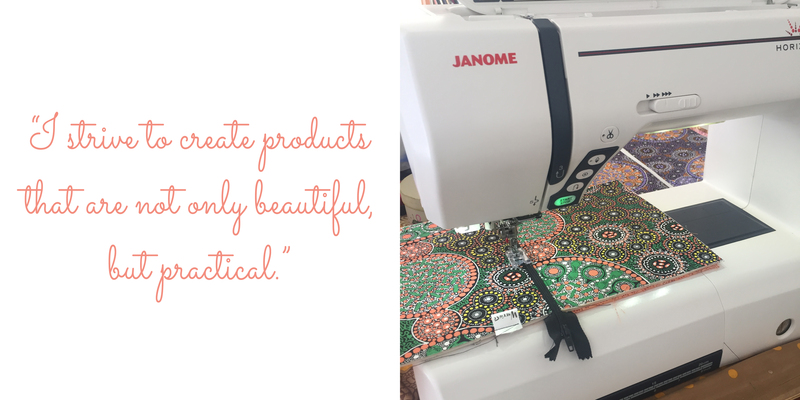 I have 4 essentials; my amazing Janome sewing machine, cutting table, ironing board, and beautiful Indigenous fabrics. I also keep a map of Australia on the wall, and love the challenge of seeing my products connect to as many places across the country. I love handmade crafts and rocks! My love for handmade comes from my strong beliefs in supporting local. Something handmade encourages creativity, is rewarding, and is an amazing platform for meeting and connecting people. I love chatting to fellow hand-makers at markets and on social media platforms such as Instragram. I love the precision and detail required to make smaller pieces. So much thought and care goes into making something by hand. Having sewed for 20 years I had a natural love for fabric. 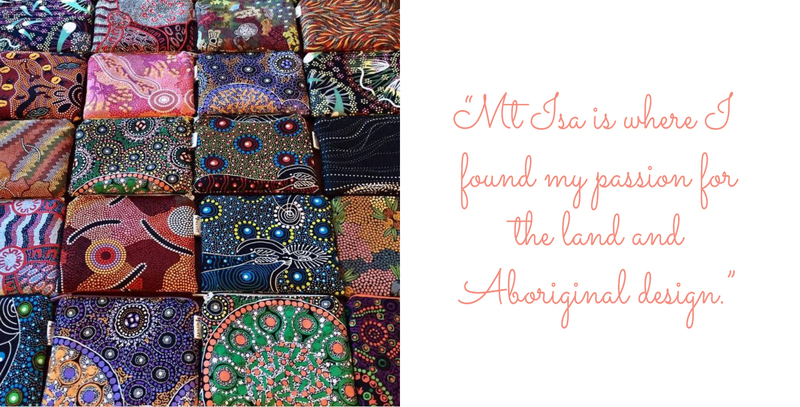 I first fell in love with Indigenous fabrics in Mount Isa, a remote outback community in North Queensland, Australia. 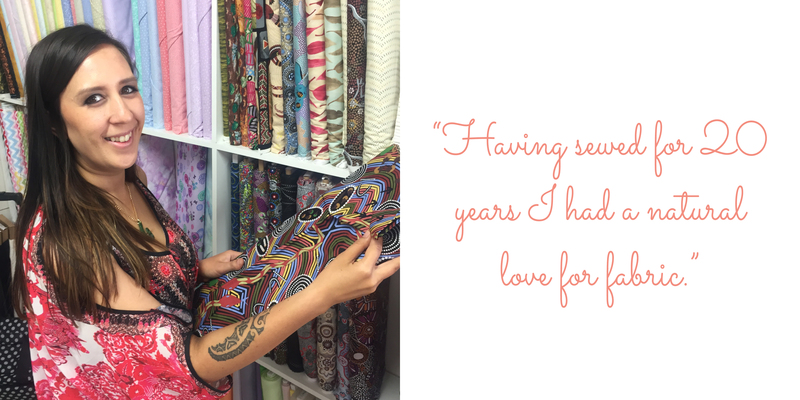 Mt Isa Creative Fabrics is a beautiful local shop that stocks these amazing fabrics. I met my close friend Julia who also loves sewing, in the shop. We had always talked about Indigenous fabrics and how appealing they are to the tourists that passed through, and in particular the local community. I had always dreamt of having my own handmade business, I just did not know where I wanted to focus my energy, until I found my passion for beautiful Indigenous fabrics. I strive to create products that are not only beautiful, but practical. I trial all sorts of structural materials, creating samples until I find my favourite material to add body. 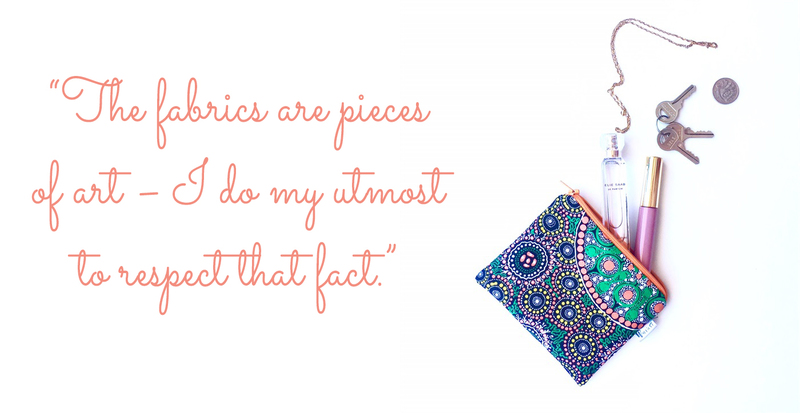 The fabrics are pieces of art – I do my utmost to respect that fact. The fabrics do most of the work. They’re stunning, bold and all tell a story. Cultural awareness and living in a culturally diverse community is very important to me. I feel that to truly be living, we must always be learning. 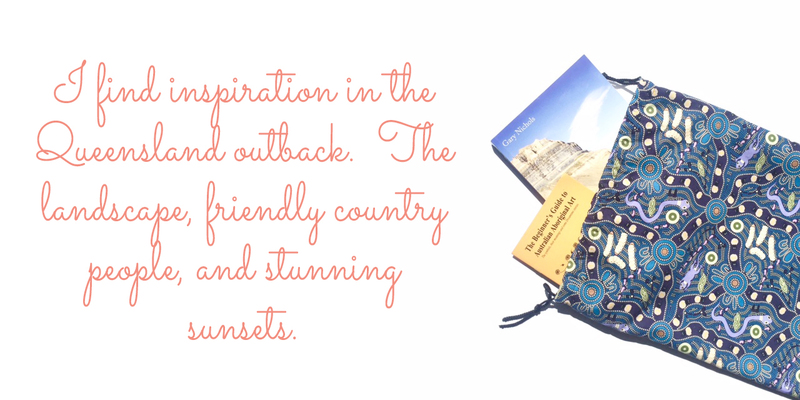 I find inspiration in the Queensland outback. The landscape, friendly country people, and stunning sunsets. The most rewarding part of creating Warriore is the opportunity to showcase the beauty of Australian Indigenous culture. Most who live in or outside of Australia are familiar with Aboriginal artwork, but may only see it when they visit a gallery or tourism centre. 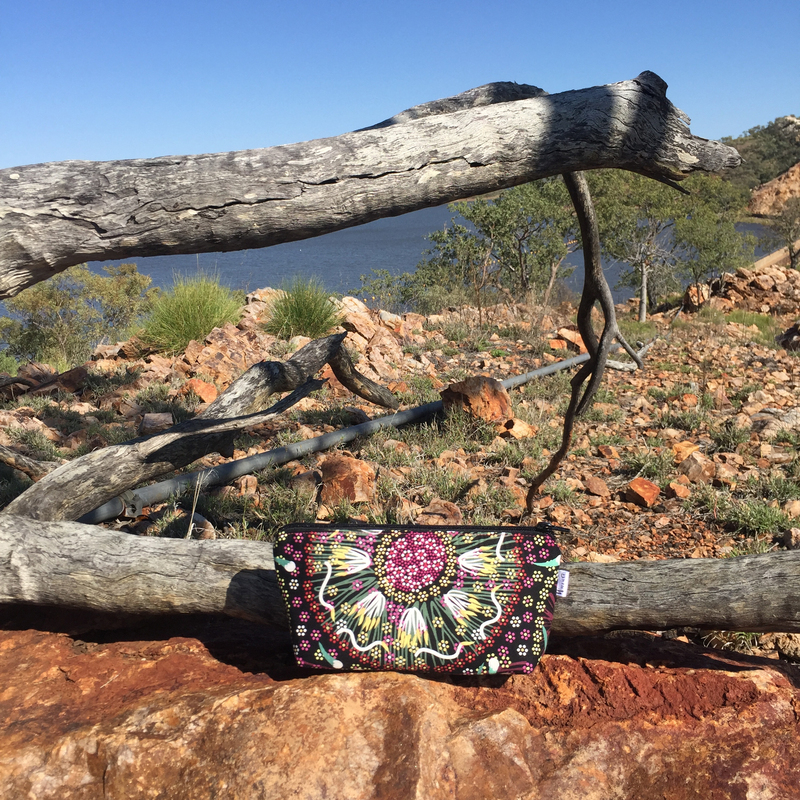 Creating everyday bags and accessories like these allows people to have a piece of Australian culture with them and allows them to admire and appreciate the ancient artwork in a tactile way. 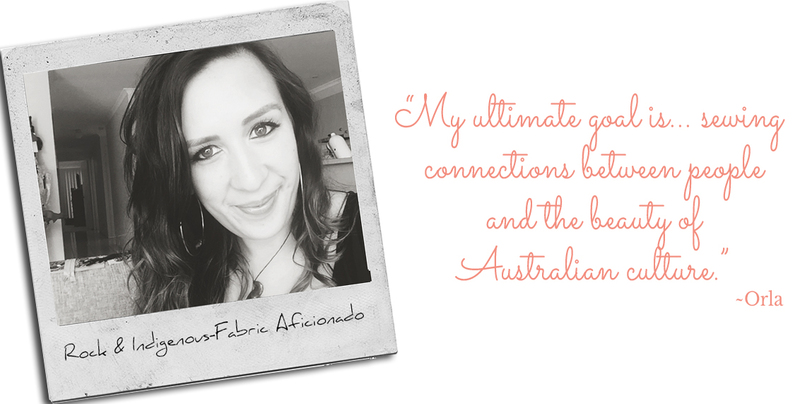 My ultimate goal is to build cultural awareness by sewing connections between people and the beauty of Australian culture.